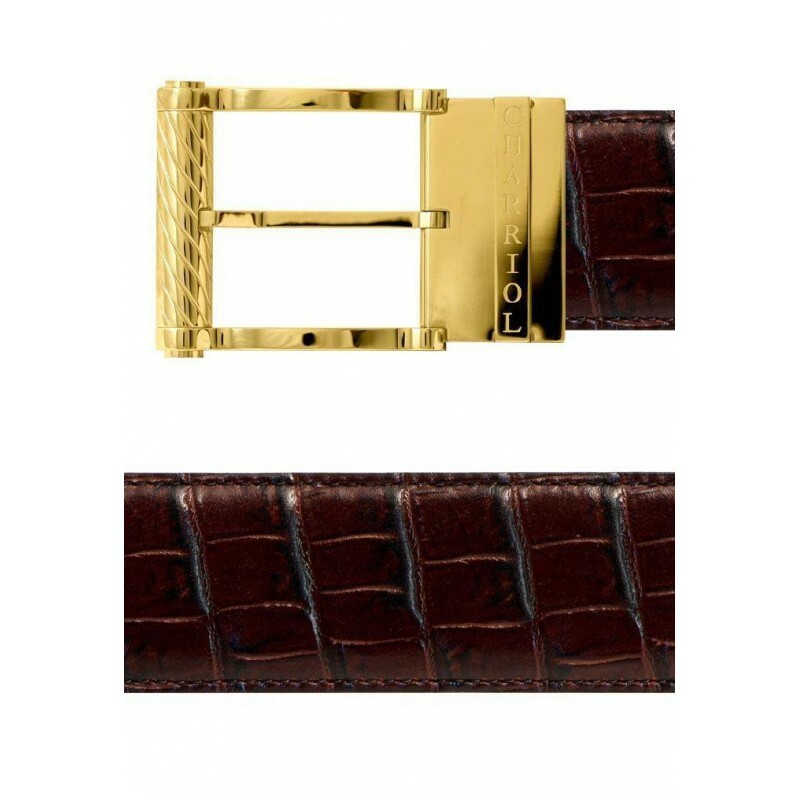 The belts buckles are manufactured with the same steel and technique as the watches : finishing touches beyond compare and sophistication of details. Manufactured in France, the straps are cut in the best leathers and show a large range of colors, looks and finishing touches. 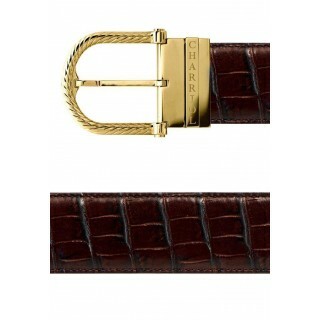 Choose this brown Charriol belt with golden accents and a crocodile-effect texture for a signature touch of refined luxury. Add polished finish to your look with this sophisticated belt. Featuring a squared buckle in golden polished metal, it showcases our iconic woven cable motif. 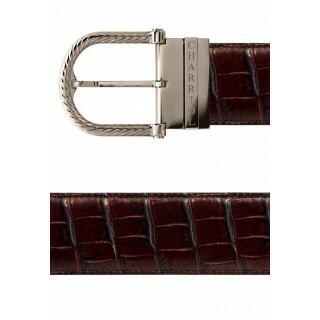 The bold crocodile-effect texture on the brown calfskin leather brings another stylish element to the design. Staying true to the brand’s luxury aesthetic and quality craftsmanship, it is a classic accessory. Manufactured in France.